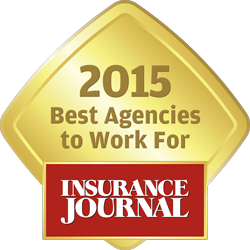 The results are in, and the employees have spoken: W3 Insurance is one of the top 100 places to work in Tampa Bay. It’s the fourth time the company has earned the honor, which is awarded annually by The Tampa Bay Times based on employee survey responses. W3 landed at #41 in the small business category for 2018. Employees lauded W3 for multiple attributes, including flexibility, autonomy and earning potential. Other praises were aimed at the company’s dedication to the organization’s mission and a supportive working environment. To W3 Insurance CEO Scott Gramling, the news that the employees are raving fans as well comes as no surprise. The company goes above and beyond for their own, whether that means opening a temporary daycare in the days after Hurricane Irma or scheduling a yearly beach weekend retreat for every team member. What are the Types of Commercial Insurance? How Will They Protect My Business? Running a business can be tough, and choosing the right type of commercial insurance can be even tougher. With the wide variety of agents, brokers, products, and services available today, making the right decision is difficult. Choosing the right products and buying them from the right agent often brings fear of the unknown and paralysis of analysis (or the paradox of choice). Cut through the weeds of insurance and streamline your business decision-making process. W3 Employees accepting a plaque from the Children’s Dream Fund. Its seems that everywhere we look we are seeing organizations in need. This can be a great opportunity to benefit your business, your employees, and your local community. The old saying “It’s better to give than to receive” holds true in this case. Employers can do a lot to encourage employees to volunteer. Possibly the biggest step is to get senior management on board. It’s all in the presentation. Stress the benefits to the company such as public relations and publicity. Many organizations recognize the assistance of generous businesses in their newsletters, signage, websites, and more. The recipients may also become your future customers or clients. Once you have senior management on board, reach out to your employees. They can recommend their favorite cause, such as their child’s school, health related organizations, church charity, etc. Invite them to chair a volunteer committee in the workplace. For an example, W3 has the Community Involvement Committee. They organize volunteer teams, contests and offer prizes. You can also invite a representative from a local charity to speak to employees and management. How can the company offer support? Consider donation matching, temporary use of a facility for storage of donated items or rummage sale, use of equipment and materials for promotional flyers. Sponsor a 5 or 10k run for charity and allow employees to take advantage of the provided sponsor registrations. The possibilities are endless with a little imagination, especially with enthusiastic committees. So encourage them to make it fun. Your company will be rewarded by increased employee morale and a thankful community driving more customers to your business.